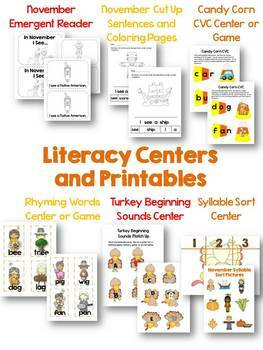 November and Thanksgiving Centers and printables for Literacy AND Math! 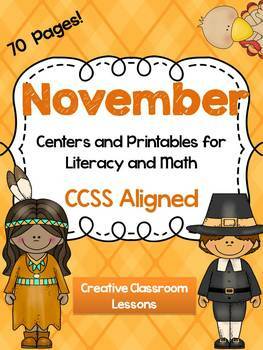 All centers and printables are aligned with CCSS. 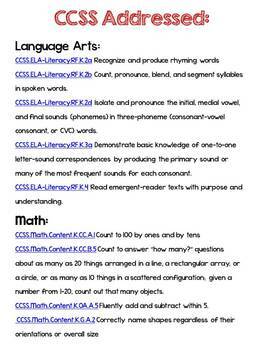 Here is what is included in this 70 page unit! 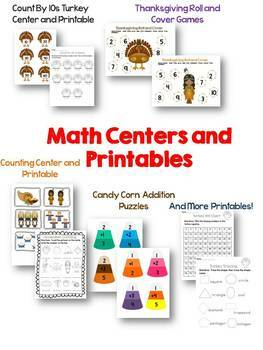 If you like this unit, also check out these other units perfect for 4K and Kindergarten!